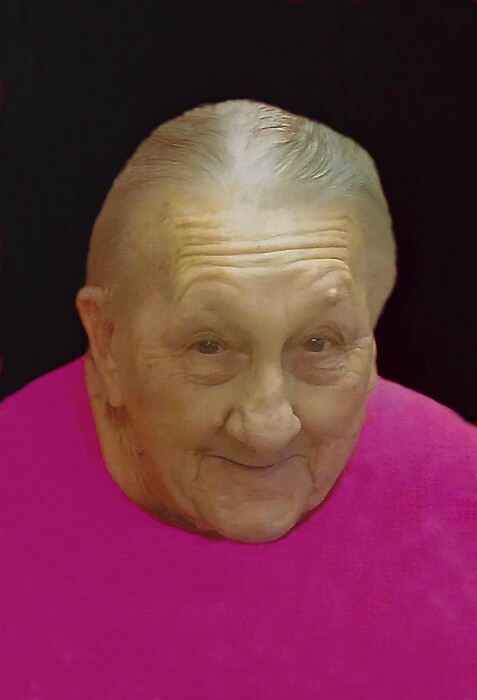 Mary Sally McKnight, 81, died Thursday, August 30, 2018, at McLeod Hospice House, Florence. Funeral services will be 2:00 PM, Sunday, September 2, 2018, at Carolina Funeral Home Chapel, with burial to follow at Matthews Cemetery, Coward. The family will receive friends from 1:00 – 2:00 PM, Sunday, September 2, 2018, prior to the services at the funeral home. Mrs. McKnight was born on September 12, 1936 in Williamsburg County, daughter of the late Jessie Cleave Parker and Essie Arelia Driggers Parker. Growing up on a farm, she helped raised her younger siblings, while her parents worked the fields. Mrs. McKnight was a very devoted Christian lady and a loving mother and grandmother. She was first married to the late John Wesley "JW" Lee, then to the late Richard McKnight. Surviving are her sons, Larry D. (Christy) Parker of Florence, John Wesley Lee, Jr. of Scranton and Terry Lee (Noreen Wenner) of Coward; grandchildren, John Wesley Lee, III, Christopher Brandon Lee, Kaycee Parker, Amanda (Anthony) Gunnells, Terry Lee, Jr., Elizabeth Ford and Ayden West Lee; eleven great grandchildren; sister, Marjorie Parker; and brother, Kenneth Parker. Mrs. McKnight was preceded in death by a granddaughter, Renee Parker; and her siblings, Zingle Parker, Nelson Parker, Carol Parker, JC Parker, Randolph Parker, Thomas Parker and Robert Parker.